What breeds are in my dog? Why does he look the way he does? Why does he like to swim and dig holes in the yard? Could I be doing more to provide him with the best care possible and make him happier and healthier? 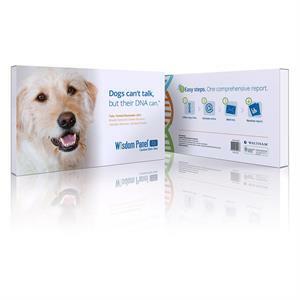 Now dog owners can answer these questions and develop a more targeted care plan for the overall health and well-being of their furry family members with the Wisdom Panel 2.5 canine DNA test. All it takes is a simple dog DNA test. 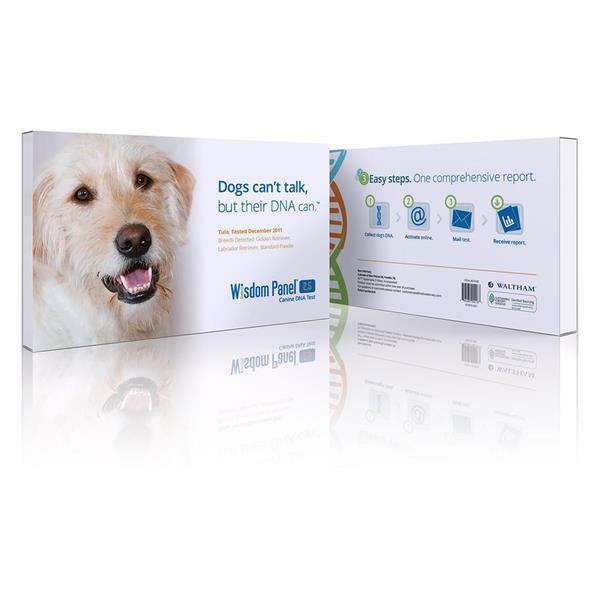 Wisdom Panel Insights is a comprehensive dog breed test that helps owners determine their dogs’ family tree with just a swipe of a cheek swab. Within a few short weeks (2-3), you can learn your dog’s history and understand his active nature, or his herding tendencies, or his long, shaggy coat. You will receive a dog family tree and Certificate for your dog with his breed(s). Breed Library: The Wisdom Panel Insights Breed Library Detecting 185+ Breeds in a Mixed-Breed Dog. What Will My Dog's Report Tell Me? : Wisdom Panel Insights not only detects the breeds in your dog’s ancestry, it will also model an ancestry chart showing where each breed was likely involved so you can see when the breeds contributed to your dog’s family history! Great-Grandparent: A breed that represents approximately 12.5% of your dog’s DNA. You are unlikely to see many traits from this breed unless they are dominant."